We know Father’s Day and BBQ often go hand in hand. And while we do love ourselves a good steak or rack of ribs, we can’t help but crave a little seafood every now and then. These summer months make it ideal to take a dinner celebration outside and grilled fish makes an outstanding centerpiece at an outdoor barbeque. This year, we’re grilling a different kind of steak for dad–swordfish. Rich and meaty, swordfish is truly unlike any other fish. While most fish have a tendency to produce a flaky, buttery texture, swordfish holds its own nearly like a beef steak. Its firm meaty flesh, high oil content and strongly distinctive flavor makes it ideal for throwing onto the grill. This recipe is easy to follow with no need to marinate. As one of nature’s truly most marvelous fish, swordfish does not require much to create a scrumptious meal. The light flavors of the fresh dill and butter marry well into the steaks, while grilling them only intensifies their strong, robust flavor. After this meal, dad just might be asking for seconds. 2. Sprinkle your swordfish steaks with a little salt and let it sit while your grill is heating up. 3. Mix the room temperature butter with the fresh chopped dill in a bowl. 4. After your grill is finished heating up, dip a paper towel in some vegetable oil and use a pair of tongs to wipe down the grill. 5. Brush the swordfish steaks with a little oil. 6. Place the steaks on the grill and cook for about 3 minutes on each side, depending on the thickness. 7. 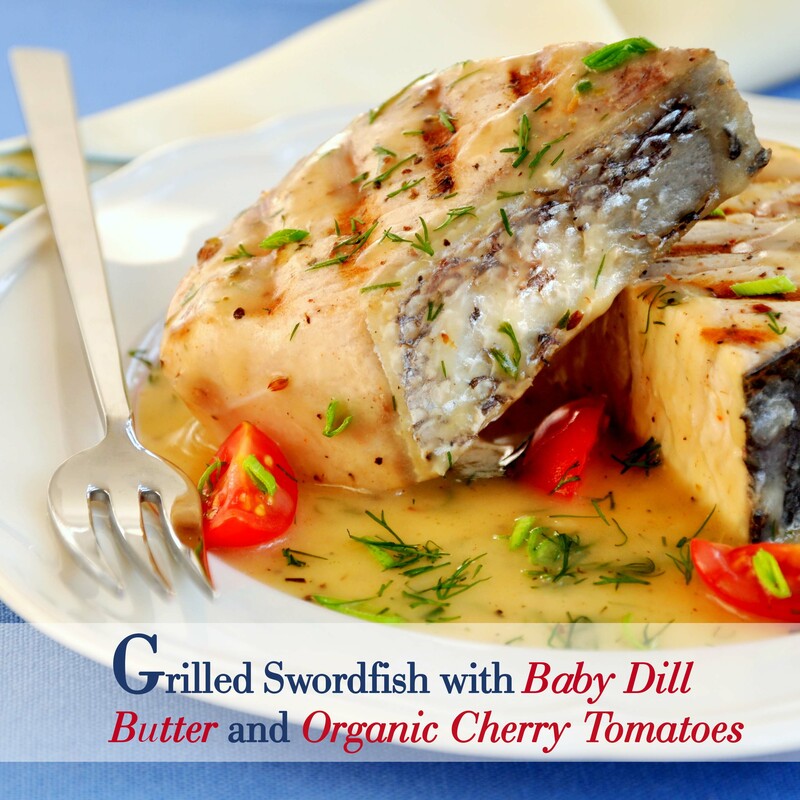 Once cooked through, remove the swordfish steaks from the grill and place onto a separate plate. 8. Top each steak with around a tablespoon for the baby dill butter. Add the chopped organic cherry tomatoes to the plate. 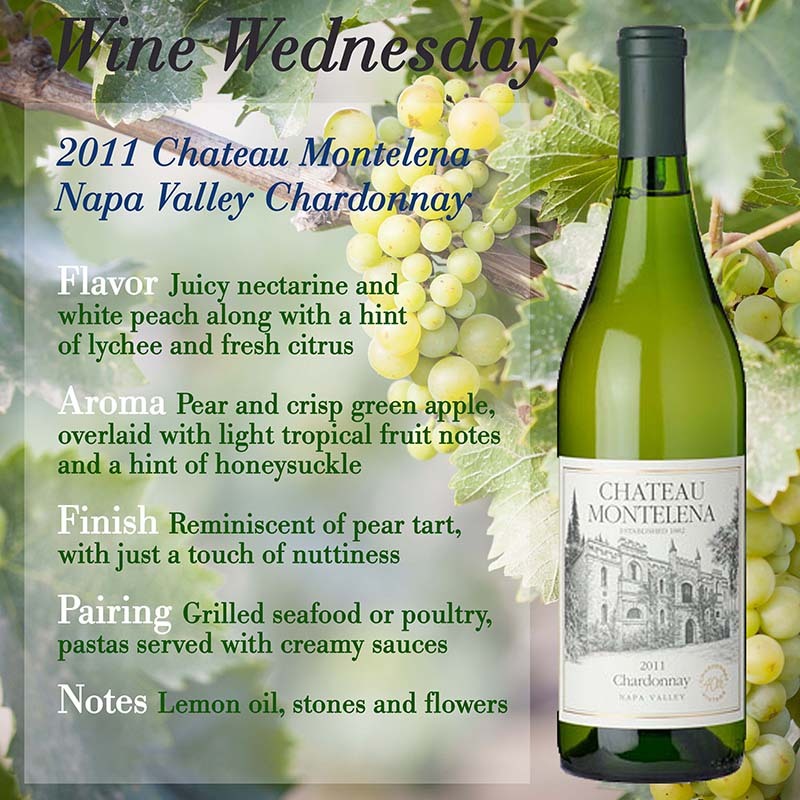 Pairing: A crisp, fruity and full-bodied Chardonnay pairs well with grilled seafood, like the 2011 Napa Valley Chardonnay from Chateau Montelena. What did you think of this recipe? Is your dad a beef or seafood lover? Let us know what you will be serving for dad next week!